Make IT Happen with Modular Buildings! 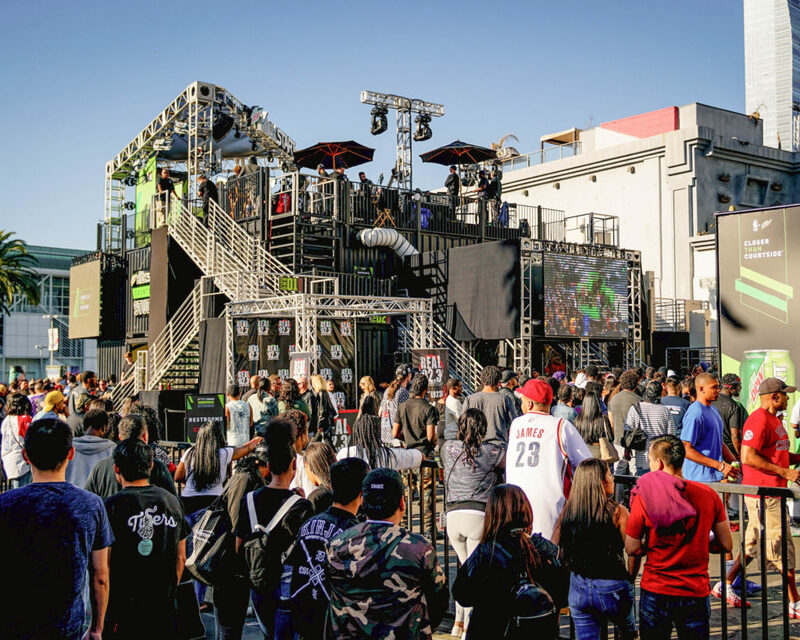 Are you getting tired of the same formulaic trade-show and brand activations? It seems like all trade-show booths these days are a single level of over-complicated monstrosities. That is why we have created a modular solution for your marketing needs! 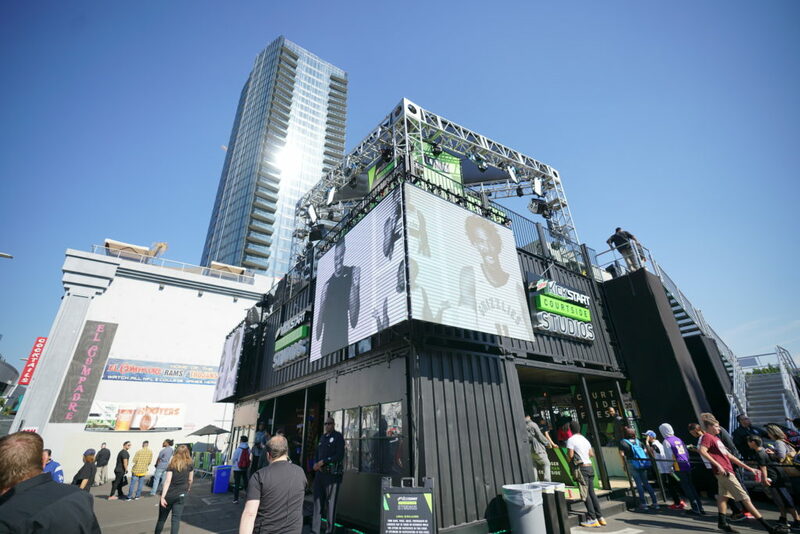 Whether it be for a experiential brand activation, trade-show, pop up shop, or your retail needs, our modular container based activation is for you! 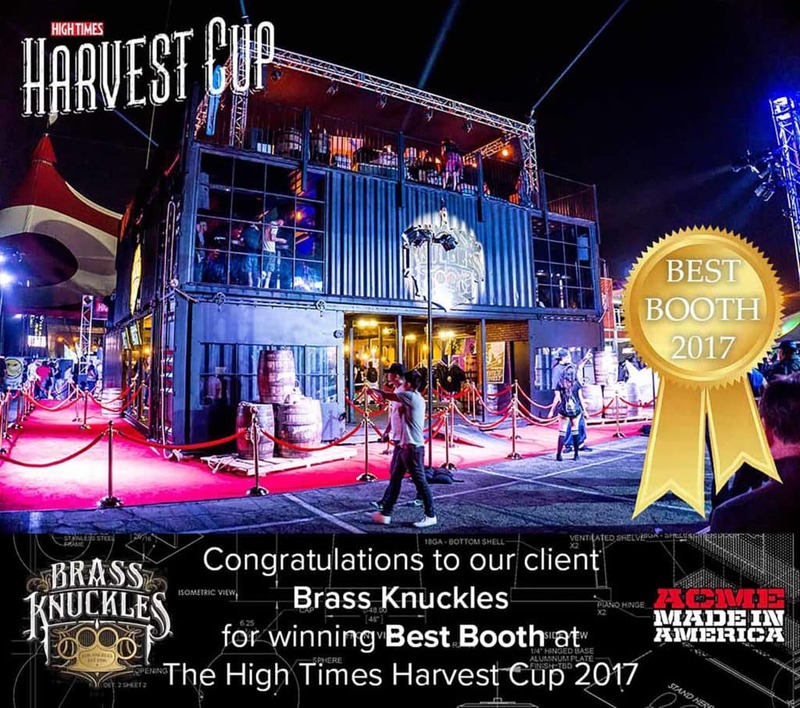 Recently we created an award-winning three-story speakeasy for Brass Knuckles at Highlife 2017. 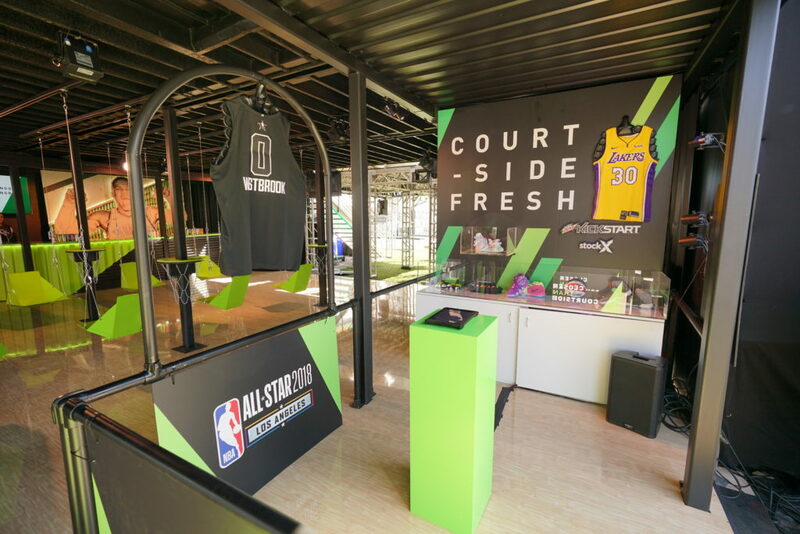 This activation flawlessly blended together different marketing elements: a Trade-Show Exhibit, Pop-Up Retail Store, and an Experiential Brand Activation–all in one! We don’t want to keep this type of brand experience a trade secret. 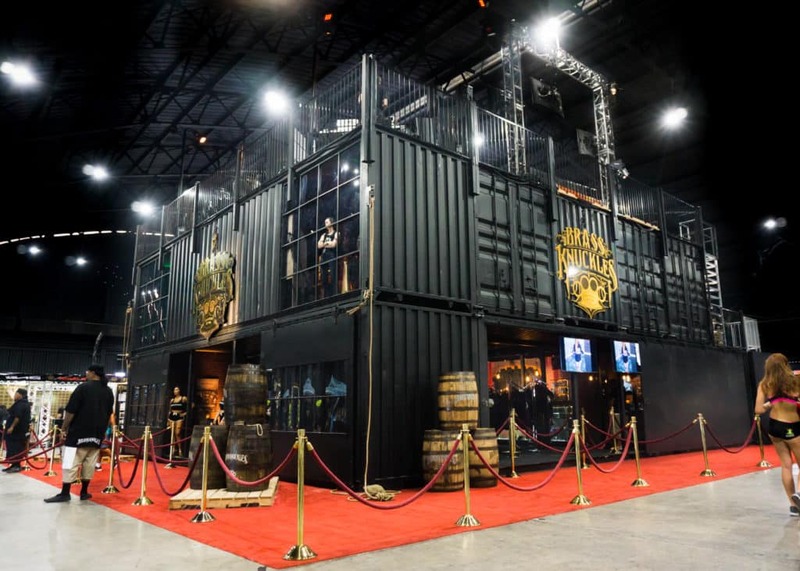 Instead, we believe this is to marketing as matrix panels were to the trade-show industry. 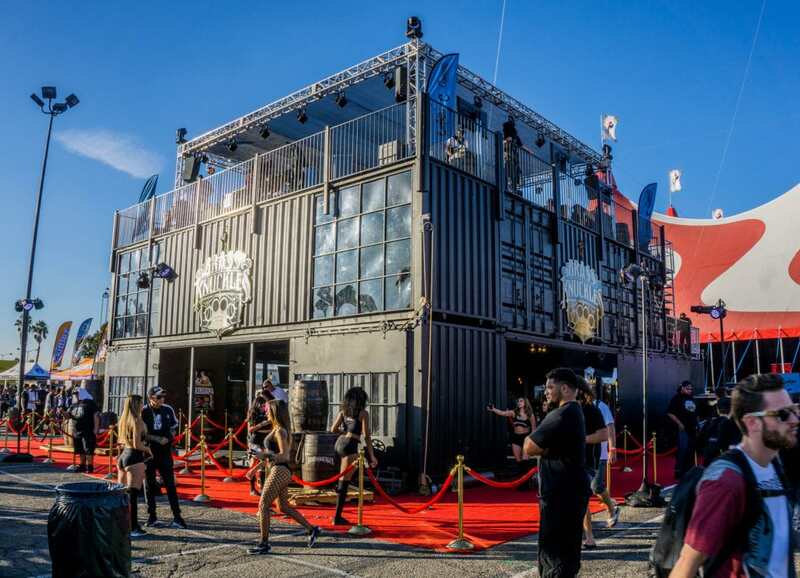 Our modular building system allows you to create any multi-level activation you desire from a proven building system. That is why we are officially allowing brands to rent and re-brand the entire CBA structure to fit their needs.